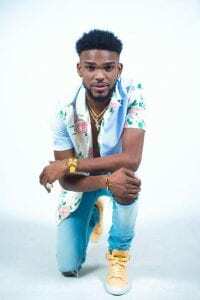 Kemar Highcon, named Kemar Woodfine, has had a love affair with Jamaica’s dancehall/reggae scene for as long as he can remember. Born on October 25, 1990 in Kingston Jamaica, he can attribute much of his musical influence to names like Buju Banton, Bounty Killer and Assassin/ Agent Sasco. Highcon grew up in Bridge View Portmore but traveled to New York at the age of 15 to pursue music. He soon teamed up with Trackstarr Music Group, the record label that helped him his debut breakout tracks. In 2013 Highcon and Trackstarr released his first single, “Every Girl A Mine”, which garnered new attention for the up and coming artist. Just two years later the track that put him on the map, “Oh Gosh”, was released and sent Highcon to the mainstream. The song got major play on well known radio stations like Hot 97 FM, IrieJam Radio, Sirius XM and a few core Dancehall programs. With his fan base secured in Jamaica and the New York tri state area, Highcon continues to pump out more chart topping hits with the premier dancehall/reggae and pop label, Ranch Entertainment, which is spearheaded by reggae star Shaggy. Next PostNext TICKETS ON SALE NOW! !